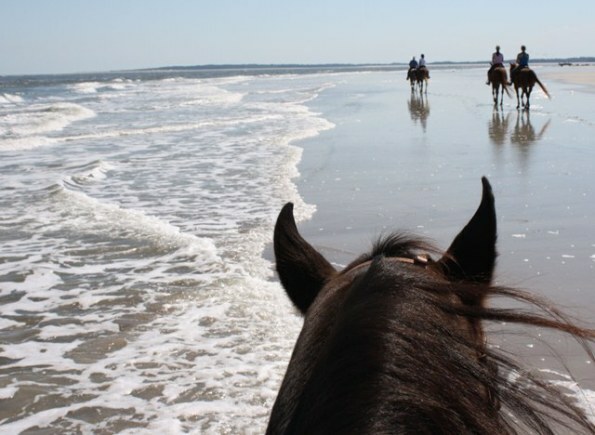 The Kelly Seahorse Ranch is the premier beach horseback riding outfit for Amelia Island and greater Jacksonville, and because of the uniqueness of our services, has become a destination attraction across the globe. 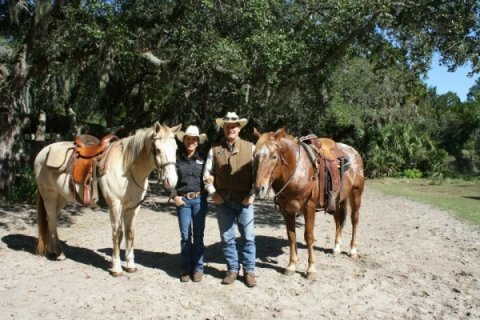 We are a family business and horses have been our life commitment. We are exclusively endorsed by the the Florida Park Service and are nestled within the maritime forest of the Amelia Island State Park (A1A) at the southernmost end of the island. A short trail ride from the ranch takes you directly out to ride miles of beach along the park’s pristine Atlantic shore. This is considered to be a “bucket list” item for many and is listed as one of the top things to do on the island. You don’t want to skip this one. Recently featured in Conde Nast Traveler Magazine, February, 2013. As a professional outfitter, the Kelly Seahorse Ranch is fully committed to provide the best possible service at every point to all our customers. It is our sincere commitment that we want to not just meet, but far exceed our customer´s expectations when it comes to customer service & support. We try our best to ensure that to ensure that there is absolutely no slippage in our customer service. So you are free to contact us any time and we very much look forward to serving you.